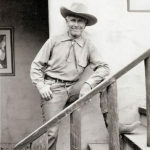 Born and raised in Philadelphia, Pennsylvania, Lon Megargee, at age 13, ran away from his upper class home and went West in 1896 led by his zest for the wild and adventuresome life. 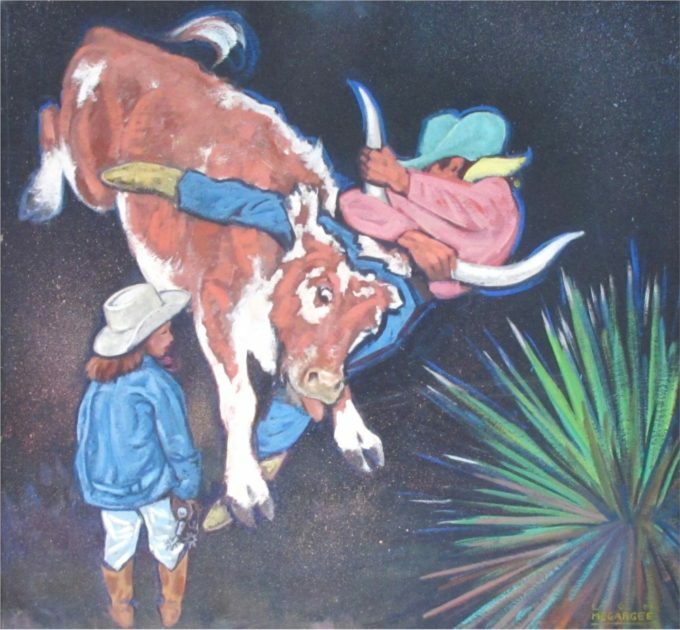 There he established a reputation as a cowboy painter and illustrator with work most associated with Arizona Brewing Company ads featuring humorous aspects of cowboy life. 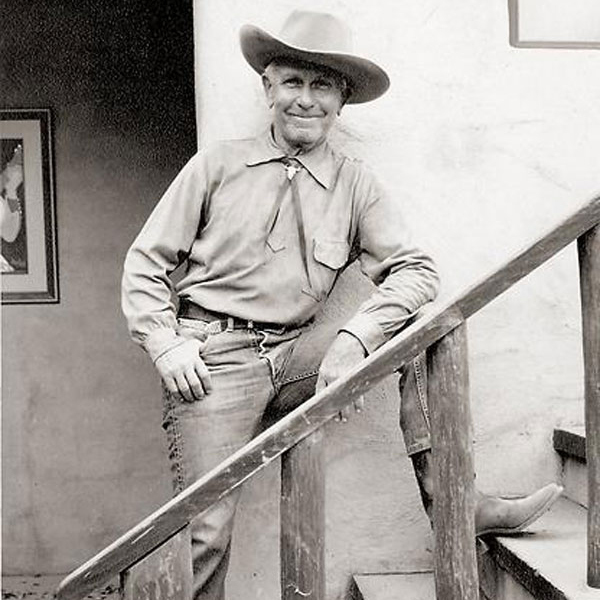 In his youth, he worked as a free-lance cowboy, exhibition roper, poker dealer, and bronco buster in Arizona, and then went east again to study art in Philadelphia at the Pennsylvania Academy of Fine Arts, and to New York at the Art Students League and Pratt Institute. He returned to Arizona, living in Cave Creek, Salt River Canyon, Phoenix and the last years of his life near Sedona. His Phoenix home later became a popular hotel and dining place called the Hermosa Inn. 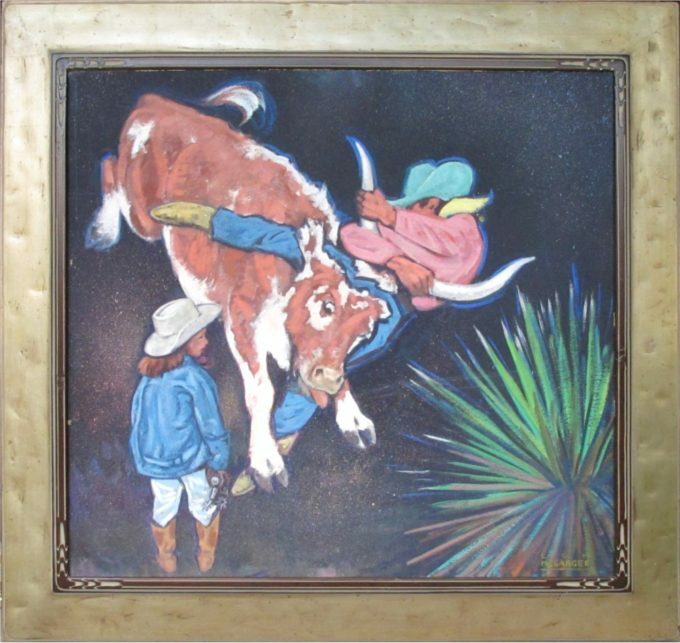 Megargee was a ranch owner and also did oil canvases of the places he loved and the cowboy life he admired. By 1910, he was among the earliest resident artists, and was probably the best known artist in Arizona. His name was first associated with a landscape series of 15 large murals for the Capitol Building, newly constructed just after Arizona became a state in 1912. Another one of his paintings, Elemental, was the first painting by an artist living in Arizona to be acquired for the Municipal Collection of Phoenix. These works were chosen from entries in the State Fair, where he continued to win prizes for figure and landscape painting. From 1911 to 1953, he did numerous commission works for the Santa Fe Railroad, including a work titled Navajos Watching a Santa Fe Train. Between 1915 and 1930, he also painted in the Los Angeles area of California and had entries in the California State Fair. He died in Cottonwood, Arizona. After his death, the Saturday Evening Post had a double-page reproduction of his painting Cowboy's Dream.